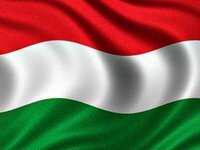 The Ministry of Foreign Affairs and Trade of Hungary declares that agreements with the Ukrainian side regarding the language article of the law on education of Ukraine have not been reached, the Hungarian government will abandon the policy of blocking Ukraine's international aspirations only if the Transcarpathian Hungarians confirm agreements on every detail of this law. "No kind of agreement has been reached with regard to the Ukrainian Education Act; Ukraine is still refusing to implement the recommendations of the Venice Commission," the Ministry of Foreign Affairs and Trade's Deputy State Secretary Tamas Menczer's commentary reads, posted by the Hungarian Ministry of Foreign Affairs and Trade. He pointed out that according to Ukrainian press reports, the Ministry of Foreign Affairs of Ukraine concluded an agreement with the Hungarian partners on the education law. "The reports published by the Ukrainian media are a lie, the situation is exactly the opposite," the Deputy State Secretary Menzer said. He stressed that the position of the Hungarian government remains unchanged: Ukraine cannot begin implementing the law on education until it reaches agreement with national minorities on this issue, including with the Hungarian national minority. "We are glad that it seems the consultation will begin soon, Transcarpathian Hungarians can count on the full support of the Hungarian Government," he said. According to him, the Hungarian government will abandon its policy of blocking Ukraine's international aspirations only if the Transcarpathian Hungarians say that an agreement has been reached on every detail of the law on education. "That is still a long way off," said Menzer. As reported, the Ukrainian law on education came into force on September 28, 2017. Among other things, the law stipulates that the state language is a language of learning at educational institutions, but one or several subjects in two or more languages, namely, the state language, English and other European Union official languages can be taught in compliance with the educational program. People, who belong to ethnic minorities, are guaranteed the right for learning in the native language along with the Ukrainian language in separate groups of municipal pre-school and primary school institutions. The Ukrainian Foreign Ministry sent the education law for examination by the Venice Commission. On December 8, the Ukrainian Education and Science Ministry reported that the Venice Commission had not supported Hungary's accusation of narrowing the rights of national minorities in the article on the language of instruction in Ukraine's law on education. On December 11, the ministry said that it was grateful to the Venice Commission for its work on providing conclusions on the language of instruction article of the education law, was ready to implement its recommendations and had already developed three models for the implementation of this article in the law on general secondary education. On December 13, Ukrainian Education and Science Minister Lilia Hrynevych said that a draft law on secondary education with explanations on the use of languages in education, in accordance with the conclusions of the European Commission for Democracy through Law (Venice Commission), was to be submitted for consideration by the Verkhovna Rada in the spring of 2018. "Now, given these conclusions, we need to formulate models of education for national minorities in the law on general secondary education. That is, we will not make any changes to Article 7 [on the language of instruction] of the law on education," she told journalists. The Ministry of Education and Science declared its readiness to implement the recommendations of the commission and developed three models for the implementation of the language article in the law "On General Secondary Education." On February 7, Deputy Foreign Minister Vasyl Bodnar, on the results of his visit to Zakarpattia region, wrote on Twitter that key issues on the settlement of the language issue had been agreed with the representatives of Hungary.